LINDEN—Linden School No. 4 celebrated Chinese New Year as part of the world language Chinese class. All of the second-graders wore red shirts, a special color for the New Year’s celebration. “Red is a lucky color in China,” said Qinying Coleman, the Chinese teacher. 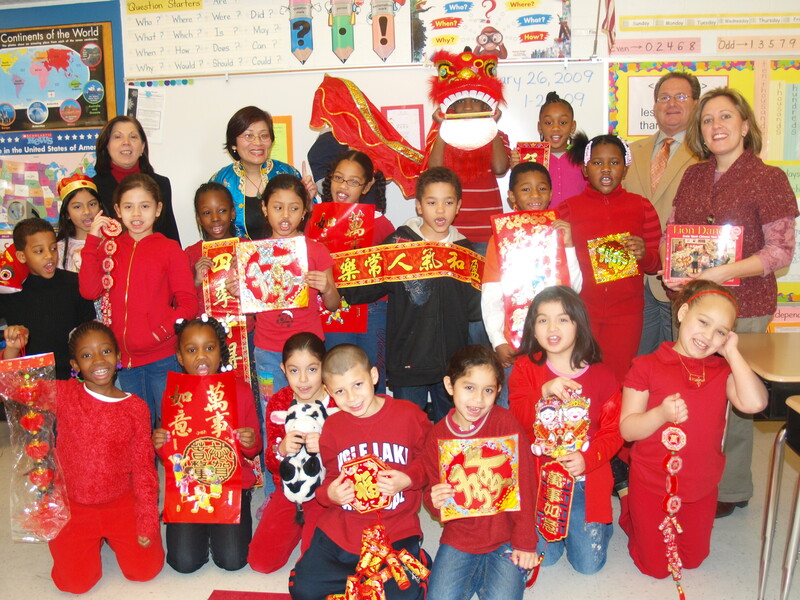 Students learned about the Chinese calendar and the date for the Chinese New Year celebration. “Every year it’s different, because it follows the moon,” Coleman said, explaining that on the Chinese calendar, the New Year begins on the first new moon of our calendar year. Every student in the class received a red envelope. The red envelopes are also a tradition in China when celebrating the New Year. Typically parents, grandparents, and relatives give children red envelopes containing money during Chinese New Year as a gift to ward off evil spirits.